Hope's Cafe: Bondi Band Hairbands! Review & Giveaway! I have to admit, I'm usually not a huge fan of headbands. Too many times I spend money only to find the headband doesn't stay in place, is too narrow and won't hold back all my bangs, or, in the case of metal/plastic headbands, they hurt! I'm a now a fan of Bondi Band though! They are perfect...just what I've been looking for all this time! I received 2 headbands for review-1 denim and 1 black. I picked plain colors that would match just about any outfit I wore them with. I have worn both of my Bondi Bands a lot, and they are great! Very nice, lightweight material, so as not to cause any extra heat/sweat. As a matter of fact, these headbands are sweat wicking, so they absorb the sweat (makes them great to wear while exercising or playing sports!). The solid color bands are heavy sweat wicking, but Bondi Band also offers print and saying bands that are light wicking. One of my favorite things about this headband is the width. It covers enough of my hair that I don't have bangs pulling out the front, nor do I have to pull it so far forward that the longer bangs are sticking up behind it! I have to tell you, my Mom fell in love with these too! The first time she saw me wearing my Bondi Band, she asked where I had found a nice, wide headband! (Of course I immediately pointed her to Bondi Band). This is me enjoying my new Bondi Band! 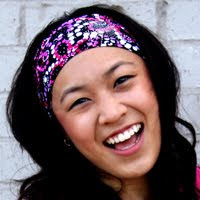 The simple premise behind Bondi Band is to offer comfy, colorful, creative headbands to fit every personality! 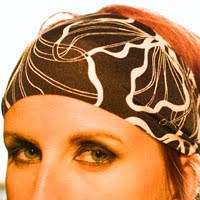 By using stretchy and breathable material, a Bondi Band will fit virtually every head size comfortably and fashionably. Bondi Band offers headbands in a nice variety of colors, prints and cute sayings. 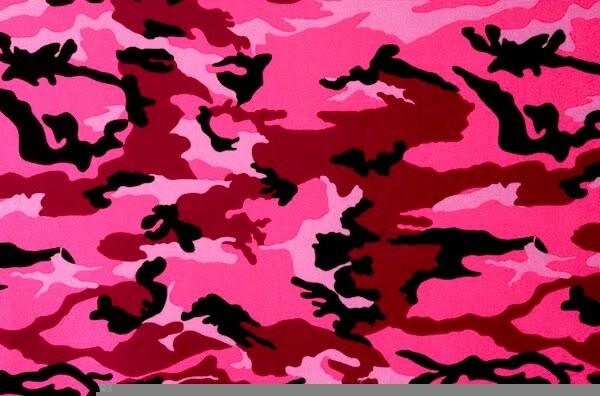 I love this pink camo headband! But, they have more than just headbands! They also have headbands for babies, swim caps, wicking hats, pigtail and ponytail hats, wraps, neck gators, and even dog collar bondi bands! And guess what? Bondi Band is giving a Denim Bondi Band (headband) to one of my readers! Go to Bondi Band and tell me which product you'd like to try! This giveaway ends Thursday, August 19, 2010 at 11:59 p.m. Please leave a valid email address in each comment, as this is how the winner will be notified. Winner will have 48 hours to respond, or another winner will be chosen. Giveaway open to US residents only. Disclaimer:I received product for the purpose of review. All thoughts and opinions are mine. All quotes taken from the Bondi Band website. I like the solid chocolate wicking. I am a follower #2. I entered the Within His Grace Christian Apparel giveaway. I entered the Green Nest giveaway. I would like the Brown Beauty band. I entered within His grace apparel giveaway! I entered the body cology giveaway. I would love to try the allison animal burst!